When the right team comes together, great things happen. TechPats provides clients with a combination of technical and legal expertise, business skills and market perspective to effectively build, manage and strategize IP assets. Our global team is designed to operate as one collaborative unit and is bound together by our innovative spirit and thirst for excellence. Our leadership team has helped to create an innovative, passionate and incredibly talented team of IP experts that have delivered results to our clients since 1998. From business strategists and attorneys to reverse engineering and testing specialists, we provide an unmatched resource for our clients. Chris began his sales and entrepreneurial career at the age of eight selling candles door-to-door in his hometown of Riverton, New Jersey. He began his professional career in the telecommunications field in Tampa Florida, and Philadelphia in the early 1990s. From there he joined a startup called Human Resource Alternatives (HRA) in Princeton, NJ, in 1994. As the first employee of the newly founded company, Chris became a partner and helped it grow from less than $500,000 in sales to over $70,000,000 in sales in less than five years. In 1999 Chris founded Javers Group as a human resources outsourcing and management company. Javers Group was acquired by Univest Corporation (Nasdaq: UVSP) in May of 2012. 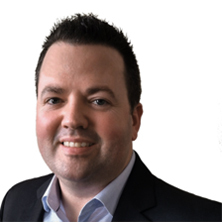 Chris joined TechPats in December 2013 to oversee its continued growth and to achieve the goal of making TechPats the most well known and highly respected patent consulting firm in the world. Chris holds several licenses and designations based on his previous work. He is a long time member of Entrepreneurs Organization (EO) of which he has served in many leadership positions locally and regionally, including past president of the Philadelphia chapter. Over the past five years, Chris has dedicated his time at a board level with several not-for-profit organizations. 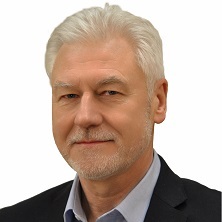 Dr. Marek Wernik has over 30 years of combined technical knowledge, business acumen and IP experience. Marek’s experience in technology and IP covers a broad range of technical areas, including all fields of telecommunications, wireless, mobile systems, information technology systems, digital media, and semiconductors. Before TechPats Marek was CEO of GIS which was acquired by TechPats in 2015. Previously, Marek held the position of Director, Intellectual Property Strategy at Alcatel-Lucent Bell Laboratories. Prior to this position, Marek was responsible for Technology Strategy and Licensing at Alcatel’s CTO office. Before Alcatel, he occupied various management positions at Nortel. Ed is a registered patent agent and has been with TechPats since 2006. He supports clients by leading programs related to patent monetization, patent acquisitions, and both patent and technical analysis. He has developed strategic patent portfolios by working closely with inventors to patent their original ideas and also by developing new ideas aligned with the business objectives of the client. Before joining TechPats, Ed was a process development engineer in the semiconductor and photonics industries, with more than 10 years of industry experience at Bell Laboratories, Lucent Technologies, Agere Systems, TriQuint Optoelectronics and CyOptics. In addition, Ed has taught undergraduate physics as an assistant professor and has been a consulting science advisor at a boutique IP law firm. Ed is an inventor on over 20 patents covering such technologies as navigation, networking, and displays. 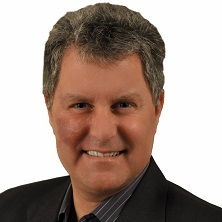 Dr. Marc Pépin has over 14 years of experience in the world of IP (Intellectual Property). Prior to joining TechPats, Dr. Pépin worked as a technical consultant at an Ottawa-based IP law firm, drafting and prosecuting patent applications. At TechPats, he is responsible for client and project management and leads projects involving, IP licensing, IP licensing strategies, Valuations, Patent Brokerage, EoU (Evidence of Use) analyses, and prior art searches. 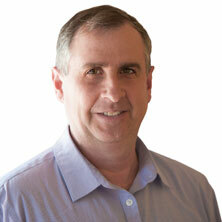 Dr. Pépin is also head of the IP and Engineering groups at TechPats. He leads various programs for developing IP skills for the technical staff and for managing TechPats own patent strategies, as well as managing R&D activities. 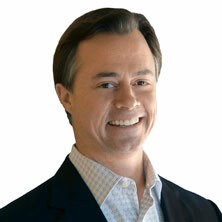 Will brings 10+ years in Intellectual Property valuation and monetization to TechPats. He began his career at InterDigital Communications, leading the patent department’s market intelligence and royalty damages modeling. He supported the patent litigation strategy for the company, which has publicly led to over $750M in royalty revenue. Following his role at InterDigital, Will joined Conversant Intellectual Property and supported the licensing and monetization efforts of the Core Wireless portfolio and other privately held portfolios in Memory, Semiconductors and Wireless. Most recently, Will led corporate strategy and patent landscaping at Newracom, a leader in next generation Wireless (802.11) technologies.